The United Nations considers universal access to clean water a basic human right, and an essential step towards improving living standards worldwide. Water-poor communities are typically economically poor as well, their residents trapped in an ongoing cycle of poverty. Keeping this in mind HOPE a charitable NGO in Pakistan collaborates with P&G regularly to help overcome water issues all over Pakistan. HOPE is exclusively responsible for distributing P&G Purifier of Water across Pakistan to NGO’s, donors, etc. In addition, HOPE an NGO in Pakistan, also provides back-up support in the form of training, IEC material, social marketing and advocacy of P&G Purifier of Water. P&G Purifier of Water is extensively used for providing safe drinking water to affected people in disaster zones. It is distributed in 4 gram sachets--ample for purifying up to 10 liters of brackish water. Compared with other products available in the market, P&G Purifier of Water has the advantage of leaving no salty or sour after-taste. Recently a press conference was held at METRO cash & carry in Gulshan-e-Iqbal, Karachi, to raise awareness about the global clean drinking water crisis and reinforce their commitment to help save lives through the P&G Children’s Safe Drinking Water program. Dr. Mubina Agboatwalla along with other representatives of HOPE demonstrated the process of preparing water using P&G Purifier of Water. Dr. Mubina Agboatwalla- a child specialist in Karachi and Chairperson of HOPE, said: “Water is a basic human right. It is unfortunate that a significantly overwhelming number of people all over Pakistan do not have access to clean drinking water. We have partnered with P&G, through its Children’s Safe Drinking Water program, to make clean drinking water available to communities across the country in times of natural disasters and through social markets. The P&G-METRO collaboration for disaster-relief over the past 3 years has been a much-needed intervention which has made a positive impact in the lives of disaster-struck communities. HOPE remains committed to continue to facilitate P&G and METRO in its endeavor to help disaster-affected communities in Pakistan. Why is education so important for the economy of Pakistan? Literacy is the fundamental building block of education and as vaccine is a prevention measure for a disease, literacy works in the same way for preventing the spread of corruption, hunger, poverty, crime, poor health conditions and unemployment among other socio-economic problems. Education is an essential tool for breaking the rigid and harsh social cycles of poverty. 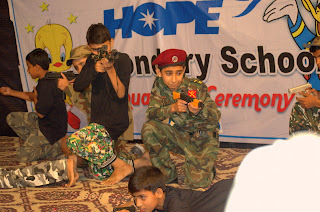 HOPE-an Educational NGO in Pakistan, plans to establish a network of schools which provide free and quality education and helps students build an armor of confidence which allows them to hang onto their dreams and pursue it. 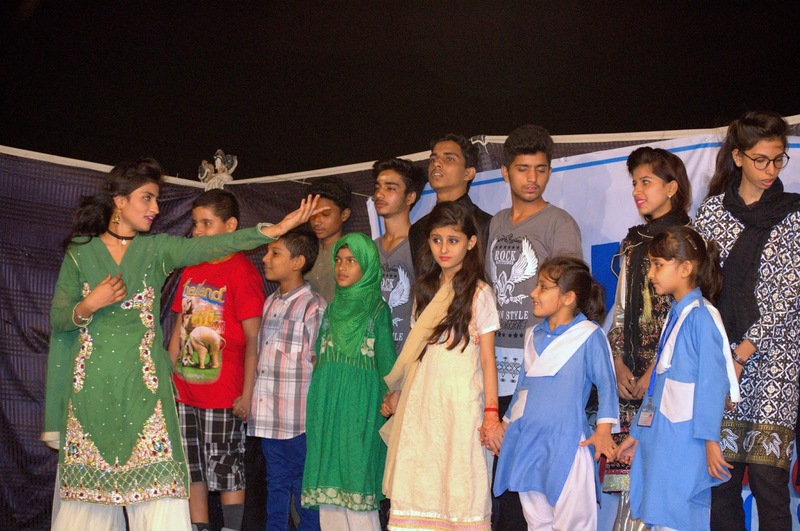 Thus, most of HOPE’s programs are focused primarily on the rural and urban slum areas of Pakistan. 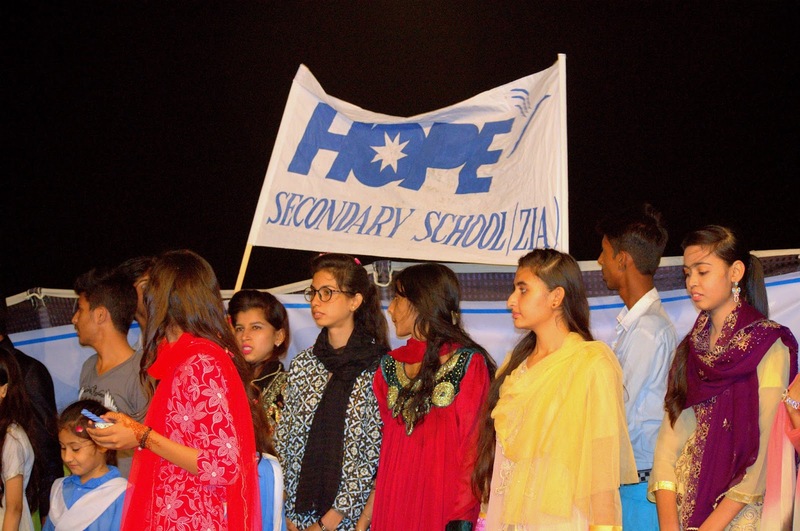 Under the leadership of Dr. Mubina Agboatwalla- child specialist in Karachi, HOPE has broaden its reach towards the masses lining in squalor, mainly focusing on girls to address the deplorable educational and social status of women in many cities of Pakistan. Among other HOPE – an NGO in Pakistan, one of its school is located in Zia colony, Karachi, constructed by Japanese embassy. The people living in this area come from a poor background and struggle to educate their children, given the expensive fee waivers the private schools unjustly ask for. Some of them are stuck at home and others end up winding at workshops or other places to earn and carry an entire burden of their family expenses. But now following the establishment of our school, almost all of the children resided in the community head to our door in hopes of getting quality education. They are also provided with provisions such as stationary, lunch boxes, books and copies for their feasibility, all of them being utterly free of cost. Extracurricular activities such as sports, art competitions, field trips regularly take place. It is now supported by individual donors. Presently, there are 610 students studying. Students who appear in the Board High School Exams are passing with flying colors. HOPE arranges annual functions to celebrate their success which encourage them to increase their potentials. Every year students look forward to this special occasion where they get to showcase their skills and talents through a number of ways some of them including tabloids, skits, cultural dances etc. The chief guests, Akiyo Saishu, Mr and Mrs. Amjad and Dr Jamil are ecstatic to see students who show passion and commitment towards gaining education and participating in extracurricular activities. HOPE supports and facilitates all such activities which enhance the student’s motivation and makes them feel cared for. 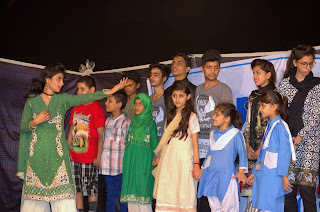 HOPE’s annual function at Zia colony is surely one which will melt your heart after seeing the glowing faces of the youth of Pakistan. “Medicine is a science of uncertainty and an art of probability”. —William Osler. This quote sums up the life of a doctor pretty accurately. Of course every day is a different day for a doctor with new and unanticipated forthcomings. Dr. Rehana- a beacon of light, a gynecologist at HOPE- a charitable organization in Pakistan, who has well deserved the title of a doctor with her hard work and unyielding effort. Her Duties include seeing gynae patients, attending to the problems and diagnosing hurdles created in pregnancy etc. Her day starts off with ultrasounds carried out at Bilal Colony- a maternal and child health community center. Bilal Colony has a population of 80,000 and incurs as many as 2200 mothers and children every month. Dr. Rehana Visits this center twice a week for ultrasounds and deliveries. Dr. Rehana then travels to Gurumandir Hospital where she is called in for an emergency cesarean operation. It takes her in total one hour to reach Gurumandir Hospital as the total distance between them in 26.9km. Dr. Rehana expertly conducts c-sections and lovely babies are born. Dr. Rehana is part of the administration at Gurumandir Hospital and so she has to see to the staff, patients, and medicines and fulfil other admin related duties. Here she takes a lunch break and rests for a while but as they say the clock never stops ticking for a doctor and so she is then paged in for a threatened abortion at Zia Colony where the case is very severe and the patient is losing a lot of blood, after rushing the patient to the Operation Theater, Dr. Rehana arranges for the blood and successfully saves the patient’s life. The distance from HOPE Hospital Gurumandir to Zia colony is about 8-9 km. HOPE- an NGO in Pakistan runs two Mobile Health Clinics (MHU) which are overseen by Dr. Rehana. MHU's provide free medication and treatment to the underserved population suffering from various diseases. Dr. Rehana engages in a meeting regarding the MHU’s where the Doctors discus several patient related problems, solutions and processes. Dr. Rehana see’s to the OPD which is the part of a hospital designed for the treatment of outpatients, people with health problems who visit the hospital for diagnosis or treatment, at Zia Colony Hospital at 7:30pm and then commutes back to Gurumandir Hospital to see the OPD at 10:00 pm where she carries out consultancy, nutrition advice, family planning awareness, and sees to other pregnancy related complications. She then returns to Zia Colony by 11:30pm where she is on night duty. Dr. Rehana devotes all her time to her work by going without sleep for incredibly long hours. This is how it’s like to be a practicing doctor. It’s hard to describe one day because every day is very different. As long as doctors come equipped with a great attitude, there is excitement with many opportunities to learn and develop their clinical skills. Dr. Mubina Agboatwalla- a child specialist in Karachi, feels honored to have such hardworking staff members as Dr. Rehana, who are inspiration and an epitome of perfection.